I have been a fan of The Fast and the Furious movie franchise since the very installment all the way back in 2001. So I’m as grieved as every other fan over Paul Walker’s death last November 30, 2013 with his friend Roger Rodas, whom investigators thought drove the red 2005 Porsche Carrera GT. Initial police statements associate speed as the main reason why the vehicle lost control prior to hitting a street lamp pole and then a tree before bursting into flames in Valencia, Santa Clara, California, U.S.A. It’s also ironic that Walker had starred in car racing related movie hits, lived his real life revolving around fast cars due to his high end performance car shop called Always Evolving in Valencia where Rodas was CEO, and yet died in one of such speedy vehicles. He was also unofficially quoted saying, “If one day the speed kills me, do not cry because I was smiling.” But the essence of all these don’t matter anymore now that he’s gone along with his character Brian O’Conner, who may be writ off the script at the 7th Fast and Furious movie installment which is already in delayed filming, due for release July next year. What I’d like to remember about Walker is his charitable spirit. His charity Reach Out Worldwide was currently collecting funds to donate for typhoon Haiyan (locally called Yolanda) victims in the Philippines. In fact, they had just culminated an event for that purpose on the same fateful day when Walker and Rodas died in the latter’s GT. Supposedly, one of the catch when donating to his charity is an opportunity for the donor to drive a GT even for a few minutes. In honor of Walker and his charitable spirit, his family also asked fans to donate to his foundation instead of sending flowers. 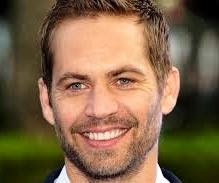 Paul Walker was 40 (September 16, 1973 – November 30, 2013).